Why was I curious about this one? Well, because it sounded an awful lot like butter tarts, only made with white sugar instead of brown. 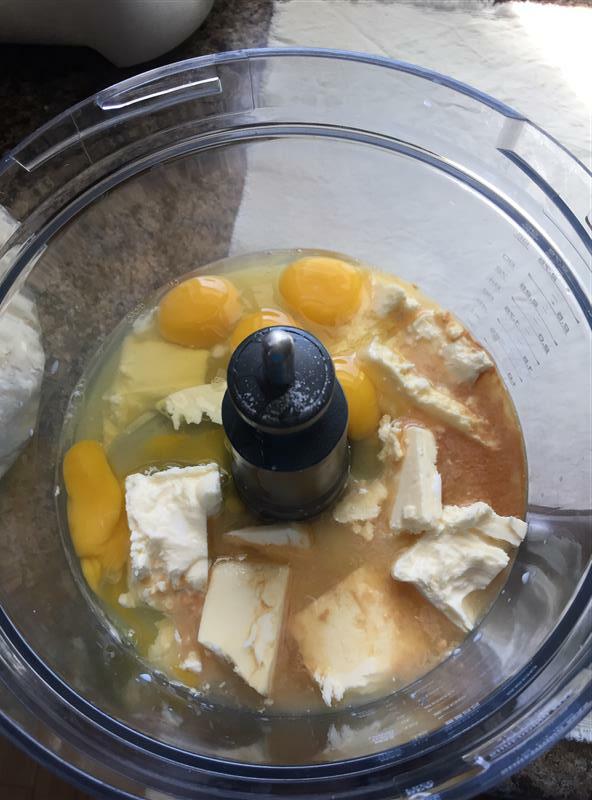 Mix everything but the raisins and walnuts in the food processor. 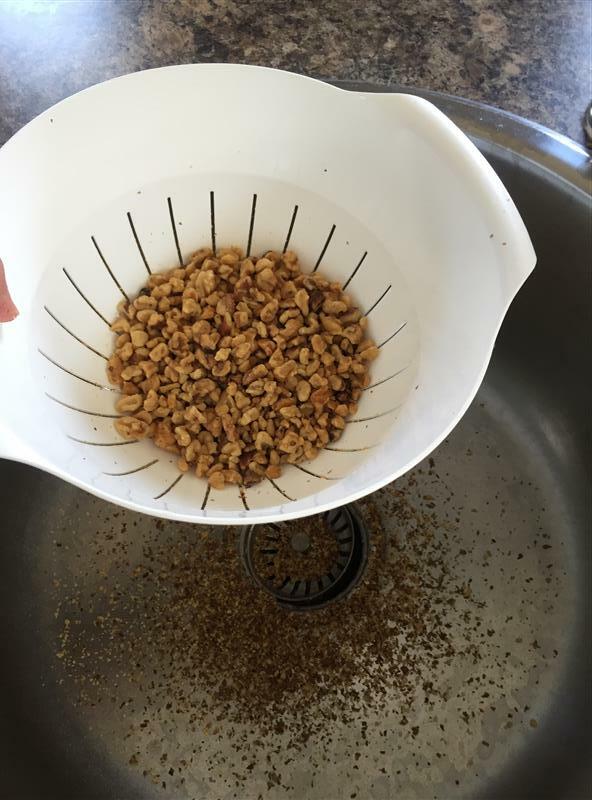 Toast the walnuts, then rub them thoroughly to remove the skins. 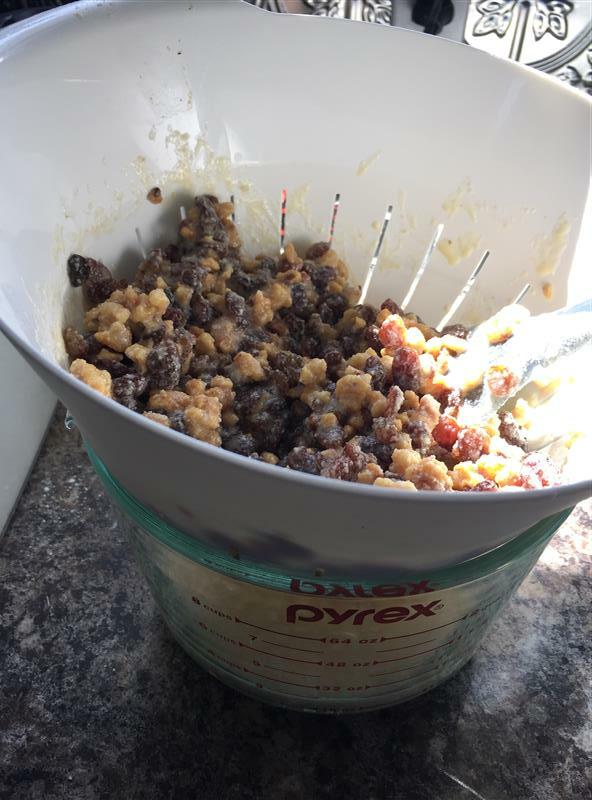 Add the raisins, mix it up, then completely misread the recipe and mix the filling with the raisins. Or, you could actually follow it and only add enough of the filling to coat the raisins and walnuts, and skip this next step to strain the nuts and raisins out again. Then, spoon a heaping tablespoon of raisins and walnuts into the tart shells, pour in some filling, and bake. I skipped documenting the whole process of rolling out dough and cutting out 24 circles and fitting them into 24 holes in the muffin pans, but it’s pretty mundane. Good way to meditate a bit, though, if you’re weird like me. I find weeding equally zen. 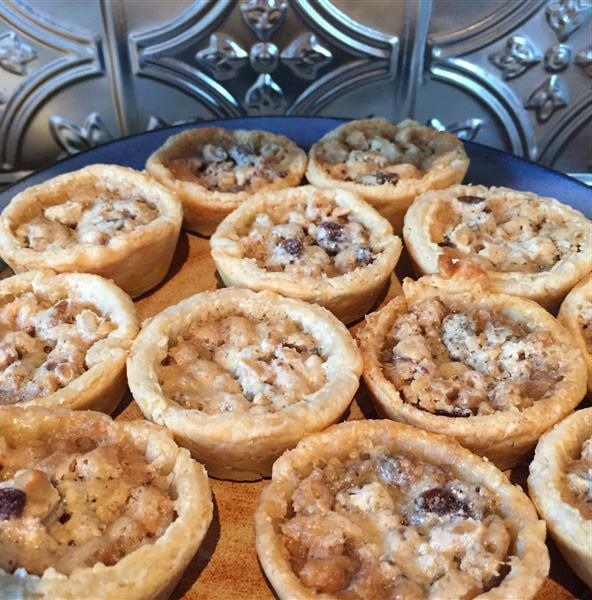 Posted on April 19, 2016 by KristinaPosted in The Baking BibleTagged buttertarts, raisins, walnuts. They look perfect! I was wondering what muscavado light brown sugar would taste like in these; making a note now since it works so well in your raisin pie.